As men don’t really wear makeup, or much else, dark circles are something women apparently notice more and is an age giveaway as well as something that can massively increase or de-crease how healthy you look – so if you fancy improving your chances, read on. 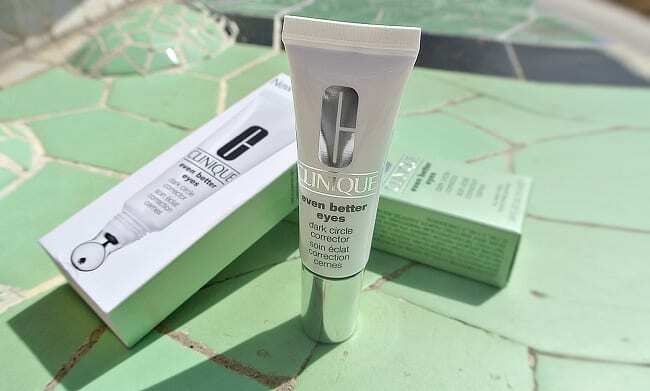 I’m a pre-existing fan of the Even Better range and have been since its initial launch, therefore, the Clinique Even Better Eyes Dark Circle Corrector presented a warmly welcomed addition to the lineup and something that immediately caught my eye. 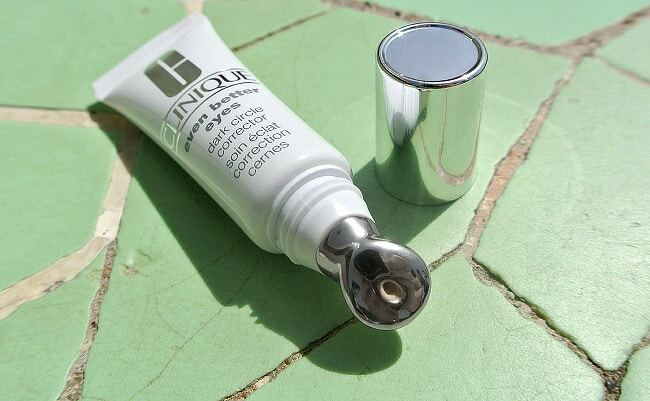 Firstly, this is their first eye cream with the widely featured Lauder Company’s metal applicator. Clinique have already used this, but in their eye smoothie eye shadows. Using this delivery system adds a massaging element you your eye care which on its own will help to reduce darkness and firm the skin. Reading through the endless ingredients list, there are some greats in there. Firstly, even though it doesn’t advertise as having an SPF but fairly high on the ingredients list is Titanium Dioxide which is normally used as a physical sunscreen, but in this case it’s marked as CI 77891 which is undoubtedly a pigment. There’s natural anti-oxidant powers of Green Tea, St John’s Wart as well as Olives, Grapes and Wheat Bran. Yeast extracts help stimulate collagen as well as having an anti-infflamatory effect. So to the testing. After a week of using the product, my eyes did appear noticeably brighter, I have to say, not hugely, but I definitely noticed. It appears from the tube as a very light fleshy / peach colour, but is definitely not a concealer. It’s a gel / cream formulation and is fairly fast absorbing. I was told not to apply with my finger, but only with the metal tip, however this means that it takes about 30 seconds longer for it to sink in. But don’t worry – it will. It doesn’t irritate my easily sensitive eyes which is very rare for me as even some of the most lavish and so-called ‘dermatologically-tested’ eye creams do. This has been more than dermatologically tested, but Ophthalmologist tested, making me feel a little more concerted. I definitely recommend giving this a try. My eyes feel well hydrated but more importantly, my dark circles have been reduced which, to date, I’ve not come across a product that offers these kinds of benefits. This article first appeared on MANFACE written by Thom Watson. It was published on Saturday 11th August 2012 and was last updated on Monday 3rd April 2017 at 4:13pm. It's categorised under Clinique, Dark Circles, Eye Care, Makeup, Sensitive Skin, Sun Protect where you'll find more related content.